I am starting off the Christmas Gift Guide's this year with the Men's overall guide, both stocking fillers and main gifts! I had so so so many more gifts than this to share with you however they were all to big for where I take my photographs, so I apologise for that! 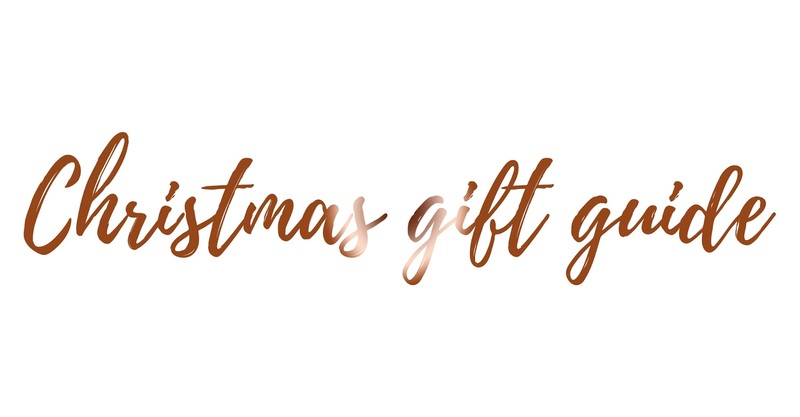 However, this Christmas gift guide still includes some incredible gifts which you can get your friends and loved ones this Christmas for a good price! I personally love every single product in this box and even as a female, I would use all of them, even if I might smell like a man! The scents in this guide are absolutely gorgeous and I think any man would like them. Firstly we have the One Click Cup for £18.97 which you can pick up off Amazon. I absolutely love the design of this mug as you have to a push a button to be able to drink out of it. 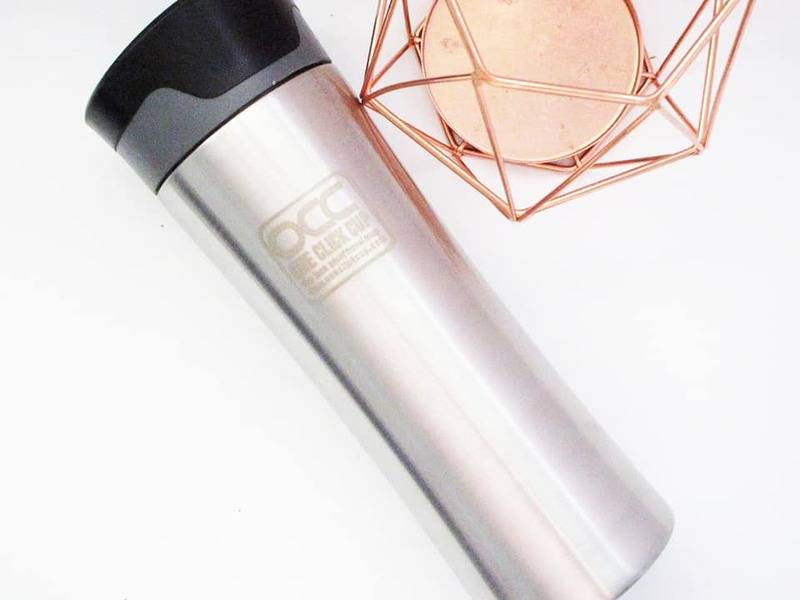 By having this aspect there is no possible way that you will spill your hot drink, on you, in your bag or even in your car; all coffee/tea mugs should have this! 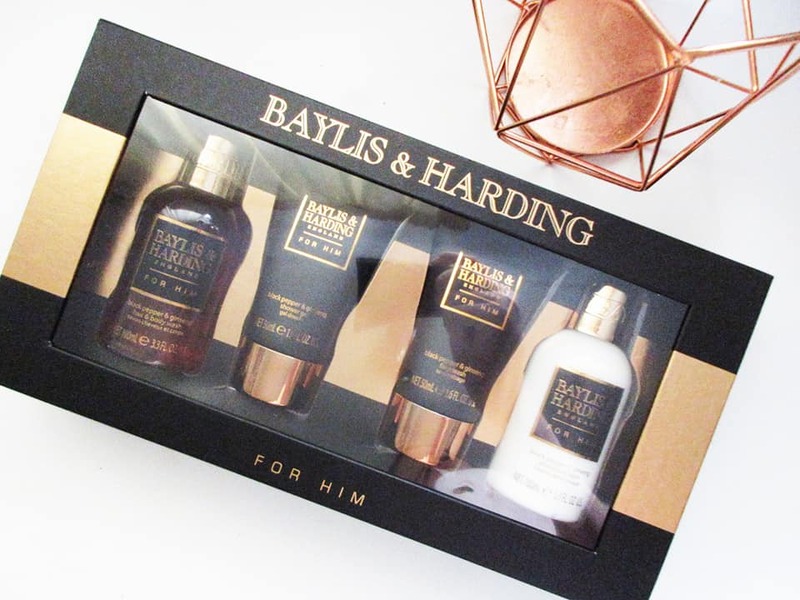 Next we have the Baylis and Harding black pepper and ginseng 4 piece box for £6.99 from TJ Hughes. Another absolute fantastic product, especially as it contains four gifts in one. I was searching through their website and saw this and the overall look of this product I thought would be perfect for my boyfriend's grandad. I think it looks like a very old persons gift; in the nicest way possible. In this gift, you will get: a hair and body wash, shower gel, face wash and aftershave balm; everything a man needs. This product is usually £12! We then have the Skin Experts Slipper Gift Set for £9.99 also from TJ Hughes. The normal price of this product is £14.99, giving you a saving of £5! I absolutely loved this gift and was very tempted to keep it for myself, I loved it that much. In this gift you get a pair of grey slippers, a nail kit, hair and body wash and an aftershave balm in the scent mint, bergamot and sandalwood. Another fantastic smell! You can clearly see I love men's gift sets! The Baylis and Harding Skin Spa Amber and Sandalwood 3 Piece Set for £8.99 is my absolute favourite out of them all, the smell is absolutely incredible; so musky and gorgeous. In this set is a large hair and body wash, shower gel and aftershave balm. I can imagine this lasting a good few months before it runs out! The original price of this product is £15, so you really are saving yourself some money! Do you know someone who goes away often? 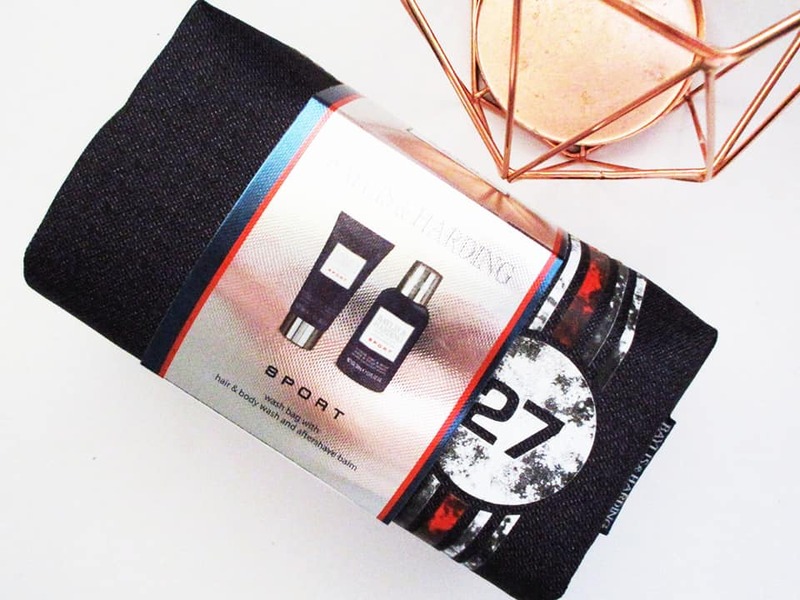 The Baylis and Harding Sport Gif Set for £7.99 is a perfect gift for someone in your life who needs to be organised when going away but really isn't! This features an aftershave balm and hair and body wash in the scent mint and lime; the freshest scent you can possibly think of! I really like this gift purely because it serves all purposes for a man in your life. Last but not least is the ToppBox Men's monthly grooming box for £16.00. In the monthly grooming box you will receive 4-5 top shelf grooming and skincare products and ones you have probably never heard of before. 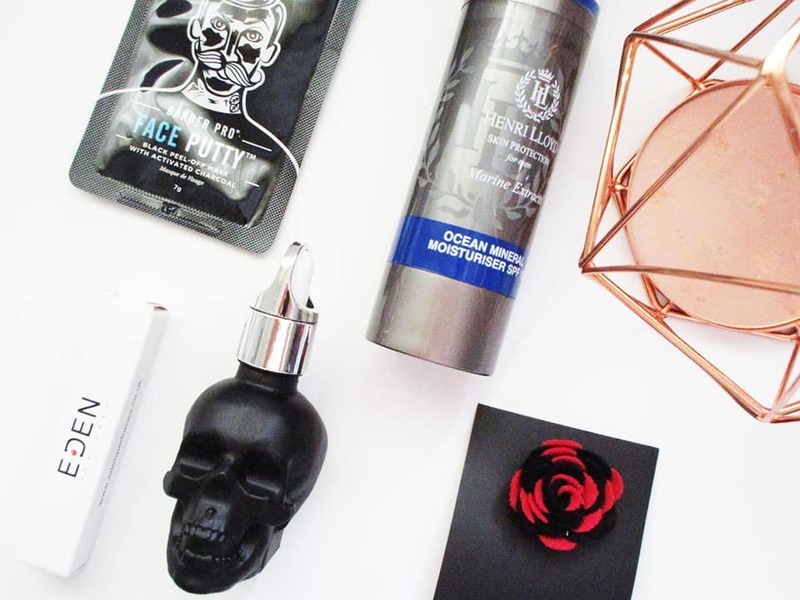 I absolutely loved what was inside this box and had to share it with you because it's everything a man needs to truly pamper himself; with a facial oil, face mask and so much more; it's a perfect night in treat! What do you have in mind for your loved ones this Christmas? This post features product(s) which were sent to me for the purpose of this Christmas Gift Guide. All opinions are my own.